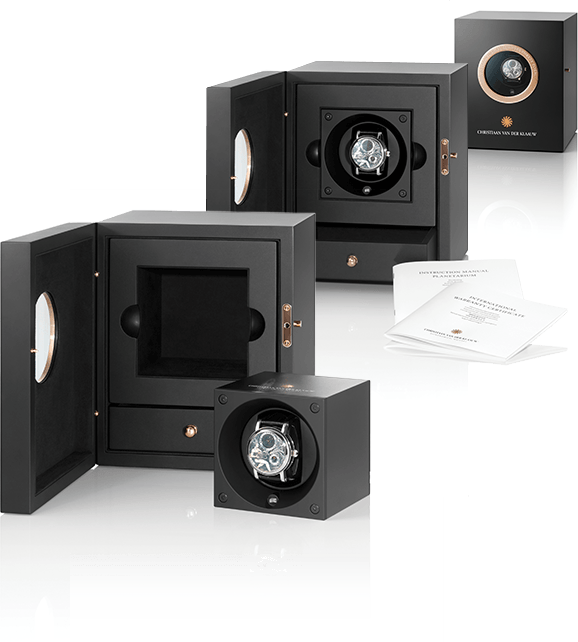 It contains a perpetual calendar module and a beautiful moon phase indicator made out of mother of pearl and aventurine glass. MovementCVDK8801, automatic winding, 29 jewels, power-reserve 42 hour max. FunctionsHours, minutes, complication; day, date, month, leap year indicator, moon phase. DialSilver with blue indexes, moon phase made out of Mother of Pearl and Aventurine glass (goldfluss). The CVDK Titan Perpetual is a tribute to the Dutch astronomer Mr. Christiaan Huygens who discovered the rings and the largest moon of Saturn named ‘Titan’ in 1655. This universal genius was also of great importance to the development of clocks and watches with his invention of the pendulum movement. 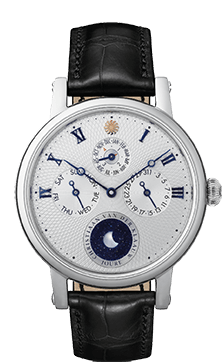 It is equipped with a perpetual calendar module and a beautiful moon phase indicator made out of mother of pearl and aventurine glass. The perpetual calendar always shows you the correct number of days of the month, even a display of the leap year is integrated. Furthermore it carries a hand-made Christiaan van der Klaauw micro-rotor. Thanks to the special positioning of this micro-rotor a unique and clear view of the technical movement of the watch is provided. 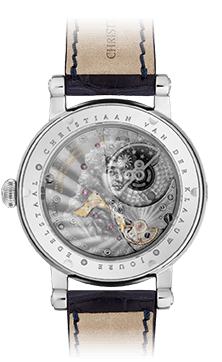 The sapphire crystal case-back has a beautiful engraving of Mr. Christiaan Huygens. The rotor is an engraved micro-rotor. 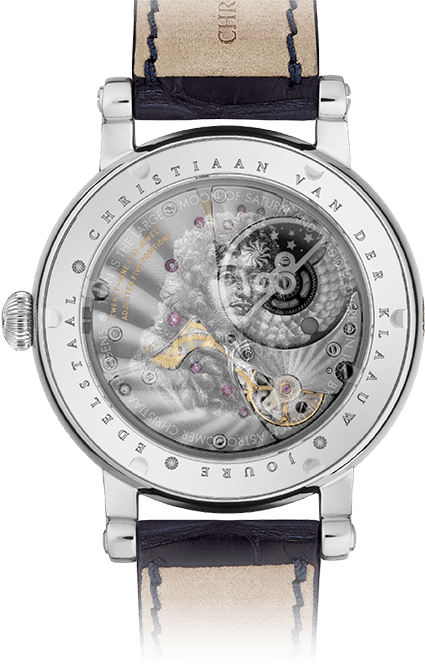 The sapphire crystal case-back has a beautiful engraving of the universal genius Mr. Christiaan Huygens.